Ever since I have changed my job, I constantly having the opportunity to meet new people every single day. 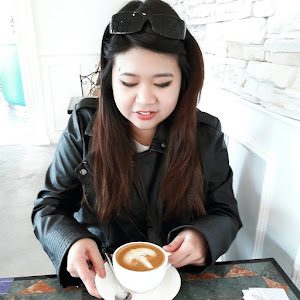 However, the fact that my schedule is quite tight, I keep on questioning myself whether I should change makeup routine because a complete makeup look could takes me up to 45 minutes to complete, from primer to contouring and applying false eyelashes. I could be happy for the results but it is too time consuming! Then again, it is necessary to pull off the FULL makeup look on a daily basis? Aren’t we all crazy about festive season? It’s always to be the best season to flaunt our gorgeous look to welcome new year! And guess what, I have found the best lip product to go with the parties and celebration! I had no intention to purchase a mascara as I personally have half a dozen of mascaras. Don't ask me why I collect so many mascaras, normally two mascaras are enough for few months before disposal BUT I just love to try out different mascaras. Hey smexies, I've been wanted to share with you all about the wonders of Urban Decay Naked 3 palette. The look that I'm sharing with you all now is natural, suitable for those who are comfortable with their own skin. I personally like natural makeup currently because it's quicker and easier to apply! Although this look is towards natural makeup, pairing with dramatic lipstick would definitely spice up your look. Hello there smexies! Recently I'm starting to love this makeup remover from SHILLS - Natural Science makeup remover Cleansing Oil (cherry blossom). I bought it few months back in SHILLS warehouse sales, it was only RM20 or RM25 during that time. Since it was so cheap, I just had to have it because my makeup remover was running low. This time around Christmas, I don't have to scratch my head to think about which nail pattern I should go for warming gatherings or parties. Luckily for HiShop and bloop, I found a great way to have beautiful nails without consuming much time! 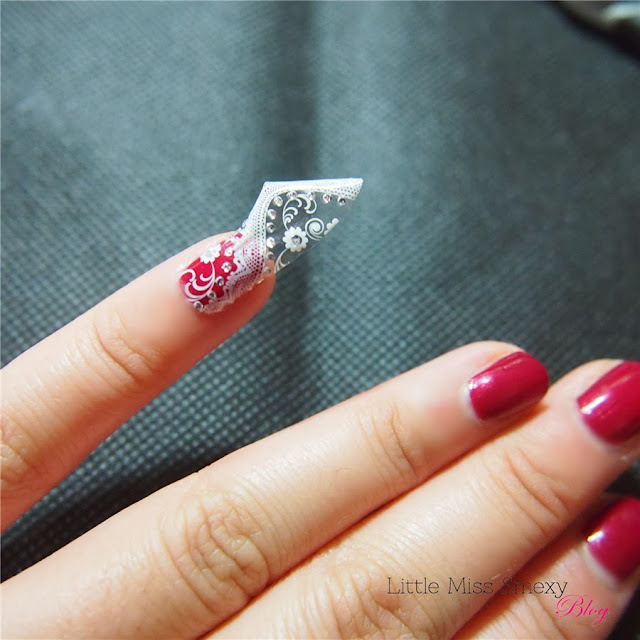 Nail stickers are getting popular in the market, it's fun and convenient. It's pretty true because we always love to update our manicure with no dying time! 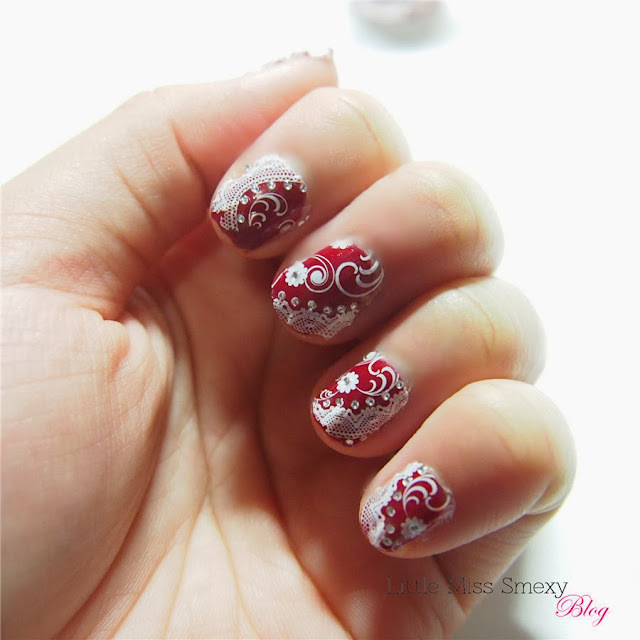 The pattern I received from HiShop was a lace inspired with a feminine touch design. First, I applied two coats of bloop nail polish in red from Glam Me Up range. The colour was pretty vivid and dried really fast (compared with other brands I'd tried). Now here's the fun part: Getting my nails laced up lol. 1. Choose the sticker according to the size of your nail (if your sticker is too wide, I suggest you can cut it with a small pair of scissors). 2.Wrap it up and rub the sticker over the nail starting from the centre working it out towards the sides. 3. Press it firmly and also the excess nail strip across the edges of the fingernail. 4. The package came with a mini nail file, you can use it to file off the excess sticker in a downward motion. 5. Apply a layer of top coat for a long lasting wear. Viola! 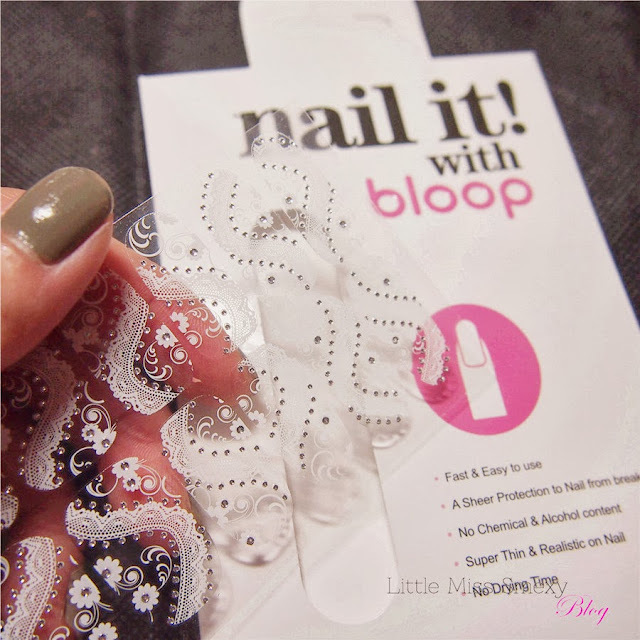 I tried out this sticker wrap from bloop, thanks to HiShop. The entire process took me roughly 10-15 minutes, which is pretty quick! I'd tried other nail wraps before but it didn't last long, the wrap actually took off two days after application which was a bummer. However, bloop nail it! worked pretty well as it is still stick on my nails while I'm writing out this post (I applied it two days ago). Have you ever tried any nail wrap? What was your experience? *The items mentioned above was sent to me by HiShop Malaysia for review without financial compensation. All opinions expressed are completely honest and strictly my own. I'm sure that we are in holiday mood now, it's going to be December soon! That means it's SHOPPING time! OR coming out with several gorgeous look to complete with the festive season. That's why I'm going to introduce this product to you! It's bloop Candy Duo Lipstick! I've been using this lipstick for a month and my friends always compliment my lips. I love the fact that it has this 'on-the-go' or '2-in-1' concept. Candy Duo lipstick comes with two lippie tubes: matte lipstick and lip gloss. The best part is it has label 1 and 2 for friendly usage! When I'm rushing to class, I don't have to find which is which by checking the label! Technically speaking, the labels are the steps. Simply put, 1 = matte lipstick and 2 = lip gloss. The fun part was the matte lipstick is known as magic lipstick by bloop. It has dragon essence and enables to enhance my lips to pinkish colour followed by the colour of my lips. One shade is enough, the colour is seriously vivid. I tried reapply twice in a row and oh-my-god, it was sooo fuschia pink! Obviously, I'm giving you a discount code if you're interested to try out this product. Use the code: BLOOP20 whenever you shop at HiShop. I'm not a fan of lip gloss so to speak because I-just-don't-get-it. Anyway, I decided to try out this product because I heard of many positive reviews from bloggers and friends. Thanks to HiShop giveaway, I have the opportunity to review this product. So is it really THAT good? First thing first, I really do love Jelly Pong Pong packaging because it is just super cute! Pink and pastel everywhere, it warms my heart whenever I look at the packaging :) Lip Frosting comes with a fat tube, it can be used as a lip gloss or a cheek tint for a luminous gloss. Here's my face with full makeup except for lips and cheeks. I look so pale, I need some colours!! I SUPER DUPER LOVE THE FINISHING LOOK! Jelly Pong Pong Lip Frosting provides a shimmery finish and it has bubblegum scent, which I kinda like it. *I hope my bf does lol* Moreover, it moisturizes and gives an extra pop to my skinny lips, so perky! I really to use it as a cheek tint as well because it suits my skin very well without being OTP. I would highly recommend this product for those who wants to achieve gyaru inspired look because the colour is sweet and innocent at the same time :) I truly understand why so many girls love this product so much now. It's simple to use and gives amazing result on both of my cheeks and lips! 3. It comes with delicious scent, like bubblegum. 4. 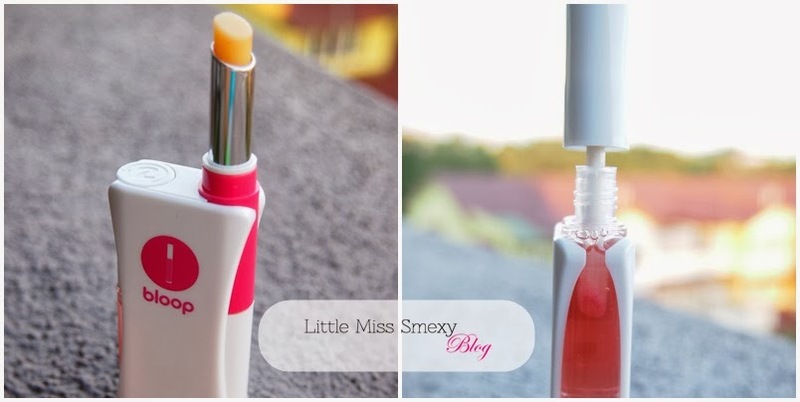 Super efficient when you're on the go - can be applied on lips and cheeks with one swipe! 1. 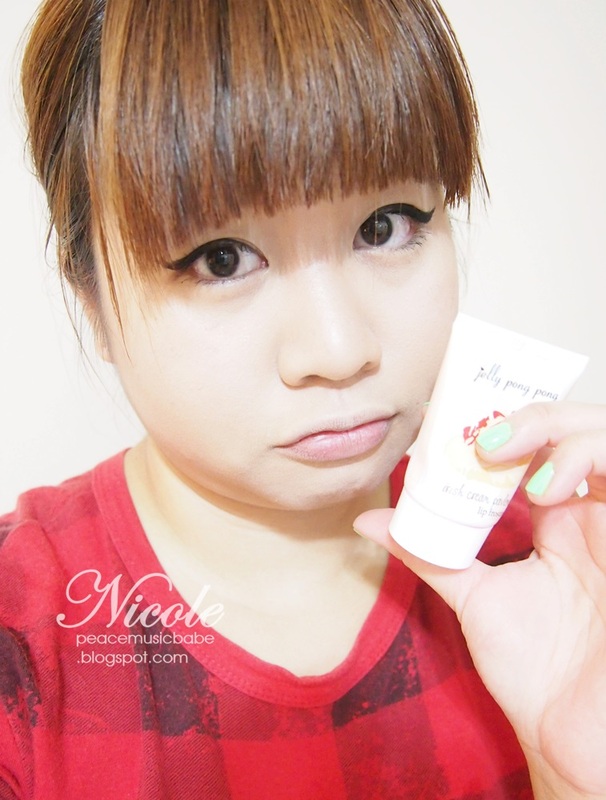 Since it comes with a fat tube, it tends to be a little messy when applying on my face. I would prefer it comes with a wand for easier application. 2. I won't say it's pricey but RM60.00 is quite expensive for budget babes. However, it gives amazing results so it worth the price. You can get this product at HiShop Jelly Pong Pong section. With a purchase exceed an amount of RM90, you will be entitled for a RM20 rebate with this code: TRYUSNOW. valid until the end of August! As usual, I'm gonna finish this post with my vain pose of the day! =) Good night everyone! Sleep tight! Financial compensation was not received for this post. A product was gifted from HiShop. Opinions expressed here are my own. 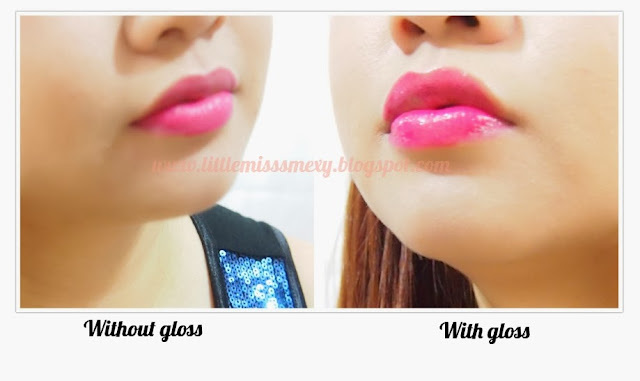 Thanks to bloop and HiShop for giving me this opportunity to review bloop LV Lip Gloss. I got this when I attended their workshop few weeks ago, it was fun tho! I learned so much about makeup and skin care, thanks to bloop team! I'm not a fan of lip gloss because of the stickiness that is troublesome, especially when your hair keep sticking to your lips when there's wind. However, lip gloss is simply stunning for making your lips those extra pop! Anyway, let's see about this babe! Wow! bloop LV lip gloss does enhance the juiciness of my lips! Not only that, it is not that sticky compared to other brands. Now that's awesome, no!? With bloop Moisturizing Lip Gloss. Matte it, Creme it, Frost it, Staint it, whichever may you choose to wear it, it will be simply be stunning! It gives my lips that juiciness without over-the-top! The price is alright, it's only RM28! The colour is not vivid enough. haha! Anyway, do subscribe to HiShop (click) to get know more about their promotion and flash sales! Financial compensation was not received for this post. A sample product was gifted from HiShop. Opinions expressed here are my own. Hello smexies! I'm really excited to share my another simple and quick makeup look with you! Recently I've been hooking up with the latest summer 2013 trend (thanks to Google!) and I found out that the colours for summer are always vivid and vibrant, giving it the extra oomph! for our look. If you have noticed, I love to combine yellow and blue to my eyes because of its vibrant colour. You can try with your favourite colours ie. purple x orange, green x yellow, pink x violet blue... BE CREATIVE! It's summer, fun is all you need! If you don't have vibrant eyeliner (like me! ), it's fine to use the choice of your eyeshadow. All you need to do is to damp your eyeshadow brush with water, I use water bottle spray because it's easier to control. Next, choose the choice of your eyeshadow and rub your brush few times on the eyeshadow palette to pick up a generous amount of eyeshadow on your brush. When you apply the colour on your eyes, do add several layers to build the intensity of the colour, the more intensity the more vibrant your eyeshadow will be. I did on my upper and lower lid with yellow and blue eyeshadow respectively. 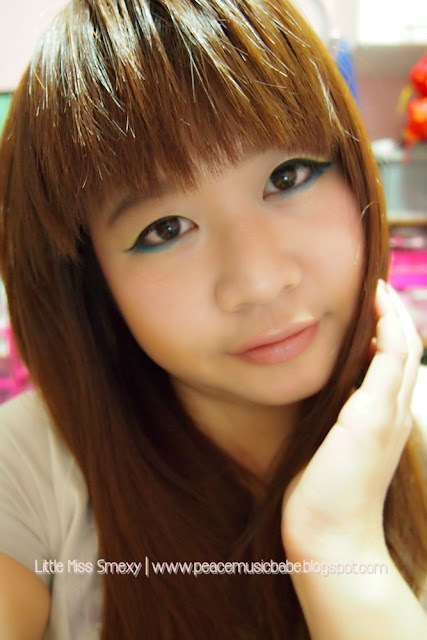 To enhance the definition of my eyes, I apply a black liquid eyeliner on my upper lid with a small wing. To finish the look, just curl your lashes and apply mascara! 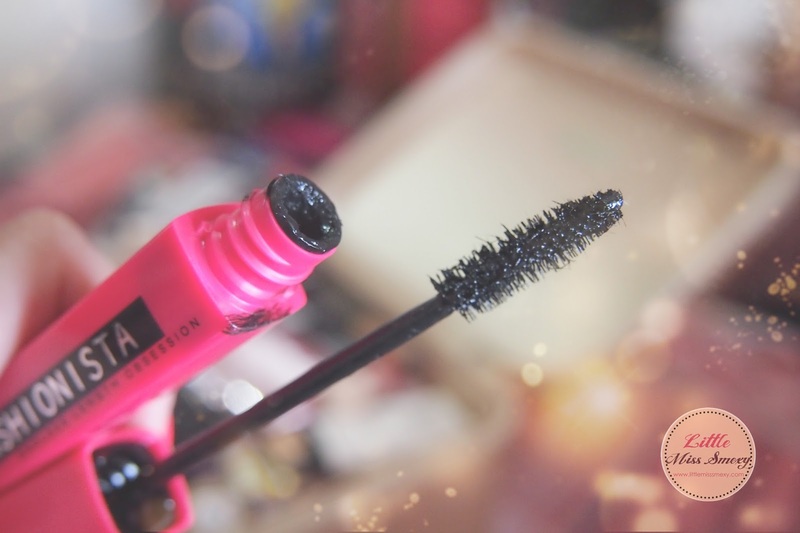 If you want to add some drama, false lashes will work like wonders! Hey smexies! I just want to say Happy July to you all. We are currently in the mid of 2013 and how's life treating you so far? Anyway, I was one of the lucky girls who was invited to attend a makeup party by HiShop and Bloop which was held at one of Bloop outlets at Sunway Pyramid. See the cute lil counter here? It's Bloop heaven! I often pass by Bloop (I'm a Sunway Pyramid Mall kaki!) and amaze the cute and sweet decoration. I love pink and cute stuff, that's why! First off, a welcoming speech by Mabel from HiShop. She was super friendly and we had a lovely chat together! A Bloop introduction by Cecilia, the Brand Elevation and Architecture Manager from Bloop. According to her, bloop products are engineered by PASSION and LOVE. Moreover, most of bloop products do not originate in just one country but comprise of an amalgamation of materials and expertise from many different countries. One of the best example would be the award wining bloop diamond eyeshadow as the result of pairing R&D from the US and ingredients (diamond powder) from Japan. Mrs Chan, the founder of bloop emphasized that their products are surprisingly user-friendly. She explained that bloop is all about women empowerment and pursue your dreams! Before starting bloop, she was a makeup expertise in a well known high end beauty brand. With her years of working experience, she taught us the correct way of applying beauty products! After removing our makeup, Mrs Chan taught us the proper way of applying the basics using Bloop Marine Cleansing Gel, Bloop Marine Botanical Toner and Bloop Marine 4-in-1 Pure Aloe Vera Gel. Check out these cute moisturizing lip balm! Now, we are talking. The makeup session! Most of the girls were thrilled with bloop makeup products, I was thrilled as well! As makeup addict, I love to experiment with different products and brands. My mini makeup station, filled with bloop prodcuts! As we were learning our makeup, the organizers decided to turn everything into a makeup contest - Candy Pop theme! 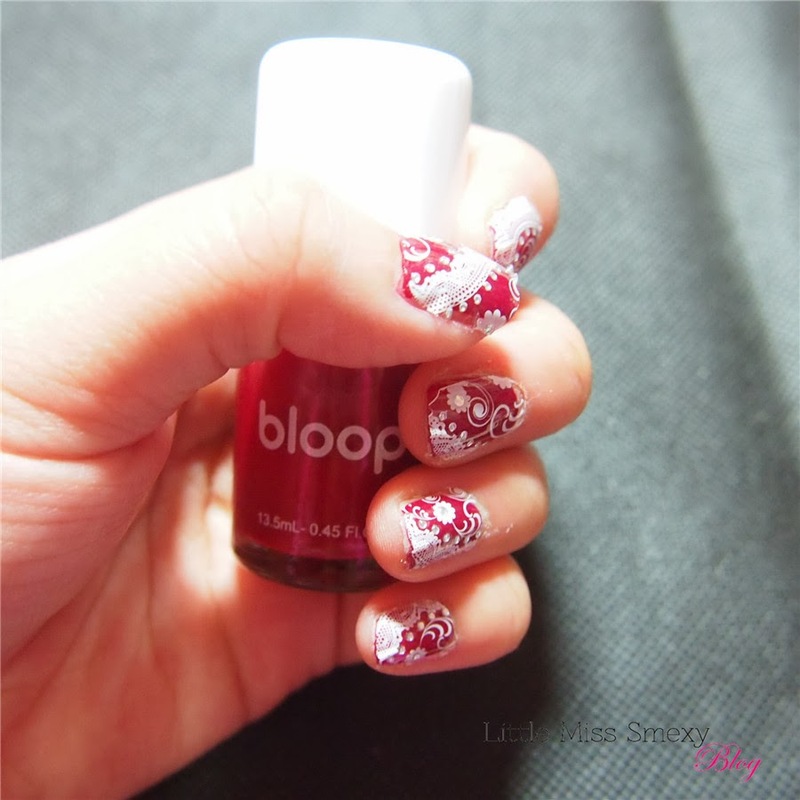 We were given 15 minutes to complete our look with any bloop products available. 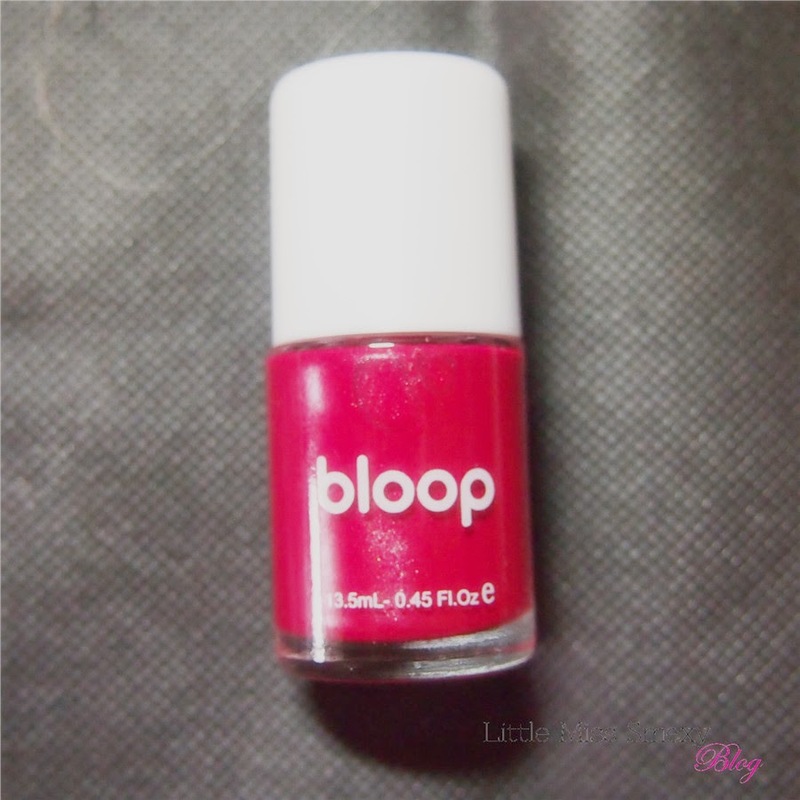 As I was completing my makeup, I realized that bloop products were super easy to use! Their eyeliner dries quickly, giving me more time to adjust and line my eyes! By the way, I would like to say congratulation to all winners of the challenge! The makeup party was really fun! I learned so much about bloop and makeup!